Horace Hopper is a half-Paiute, half-Irish ranch hand who wants to be somebody. He's spent most of his life on the ranch of his kindly guardians, Mr. and Mrs. Reese, herding sheep alone in the mountains. But while the Reeses treat him like a son, Horace can't shake the shame he feels from being abandoned by his parents. He decides to leave the only loving home he's known to prove his worth by training to become a boxer. Mr. Reese is holding on to a way of life that is no longer sustainable. He's a seventy-two-year-old rancher with a bad back. He's not sure how he'll keep things going without Horace but he knows the boy must find his own way. Coming down from the mountains of Nevada to the unforgiving desert heat of Tucson, Horace finds a trainer and begins to get fights. His journey to become a champion brings him to boxing rings of Mexico and finally, to the seedy streets of Las Vegas, where Horace learns he can't change who he is or outrun his destiny. 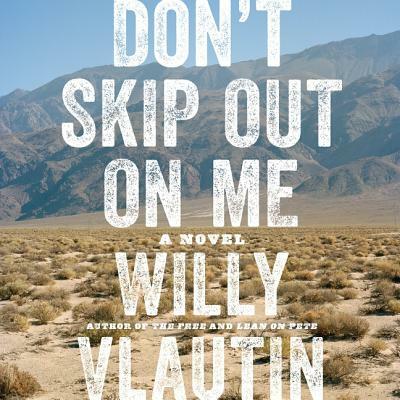 Willy Vlautin writes from America's soul, chronicling the lives of those who are downtrodden and forgotten with profound tenderness. Don't Skip Out on Me is a beautiful, wrenching story about one man's search for identity and belonging that will make you consider those around you differently.